An ideal workspace should accommodate the working, needs while making the user feels comfortable. One way to actualize it is by doing DIY cubicle decor; because the ideal workspace for each profession and each person is different. Some only need a small desk to work with a laptop, while others may need a bigger space. By decorating your own cubicle, you’re able to adjust it to your working needs and personal taste. The first thing you need to consider for your workspace is your desk. A desk is like a heart of the workspace—it is the center of every work activities. Choose carefully the size, the shape, and the material of your working desk. Ideally, your desk position should be facing the door, so you can see whoever enters the work room. But if your cubicle is at the back of a door and you can’t change it, simply put a mirror in front of you. Cubicle desk is used in many offices to allow large numbers of people working in a single room or limited space. Cubicle walls would give a sense of privacy and can usually boost concentration at work. If you want to, you can also create yourself a cubicle wall on a regular desk or for your home-office; line bookshelves up side by side or place a board on the side of your desk as a partition. Adding some decoration to your cubicle can improve working mood and productivity. Decorate the workspace with pictures or objects that make you feel successful, appreciated, and happy. Put motivational quotes in the easy-to-read area as a positive affirmation. You can also display pictures of family, best friends, and loved ones; when the work load starts to stress you out, a glance at the photos could increase your spirit. Custom the work tools provided by the office, do some makeover and add your personal touch; by coating it with fabric, scrapbook paper, or painting it. You could also use recycled things and turn it into a container. For example, transform a used-carton box into a place for putting paperclips. Be functional and decorative. Choose work tools or office equipment that are fancy and functional at the same time. For example, a retro mouse pad or a paper tray with a shocking color. Don’t overdo. Use the right amount of decoration for your workspace. Too many decorations will reduce your working area. Avoid using too many colors. Colors can create a distraction. If you want to add colors or paint your cubicle, choose one main color or one color scheme containing not more than three coordinating colors. Reduce non-related-to-work things. For instance, you may add a pillow to make your working chair more convenient, but don’t add 2 or 3 pillows. Do periodic makeover. By changing the look of your workspace regularly, you could avoid boredom and monotonous feeling. At the same time, you can also display your creativity to your boss and colleagues. To love our workspace, we need to make it efficient for working and convenient for a long time. 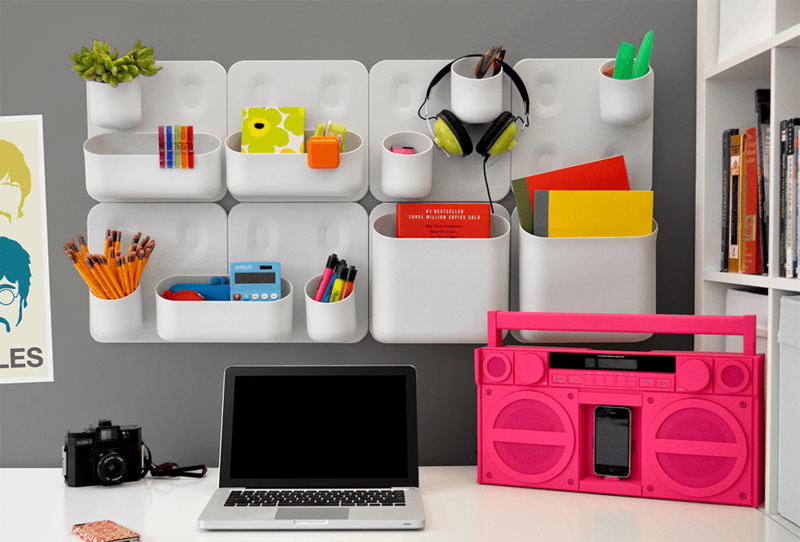 Don’t hesitate to do some DIY cubicle decor because it is more personal, low-cost, and adjustable for your working needs. Have fun decorating your workspace!